Do you ever feel that you want to share a feeling with someone, yet the words are missing? Perhaps the people you want to share with are at a distance and some else has the way and means to send along a message. Turn up the music and share the feelings that you will no longer tolerate the Criminals in Washington and their born again Hitler Youth. There is a feeling around the world now, with billions of people hating the United States with Iraq in ruins. The total destruction of the world's "cradle of civilization" is going to come back and haunt Bush and all the criminals in Washington. It is my prediction since they have violated every Crime Against Humanity with a 100% Illegal make believe war, they will stand before the world as did the Nazi War Criminals. Be cheerful people of the world and applaud when you see them hanged by their necks until dead. When the United Nations Charter was signed in 1945, it became a part of their Constitution and Bush and company have violated 14 statutes of the Charters points to this day. You will never see an honest news broadcaster in the United States let you see the destruction that Saddam would never have allowed. Did you really believe that nobody was murdered when 2000 lb bombs were dropped all over Iraq? Nobody can escape the "I was only obeying my orders.." as the Nazi's at Nuremberg discovered. That too, is written into the United Nations Charter as a War Crime. Who is the one leader that will stand up and lead the billions of people against the Criminals in Washington, along with their military commanders? Beware, the Criminals in Canada and England for destroying the freedoms that millions died for in World War I and World War II. You too, have taken the rights and liberties from your people, without ever letting them know. Yet I know, by what you have done to me, so it is my right that my family fought for, to tell the world the truth. Over 90% of you so called leaders, elected officials, bureaucrats never wore a uniform and went into battle for the freedoms you so quickly remove. The website constitutes part of the MFA's diplomatic effort to reveal the true Israel to the Iranian public, who for many years has been denied any reliable information about the country, while at the same time being exposed to hateful, distorted, and deceptive information by the Iranian regime. The new website, named "Hamdani" - which in Persian means "camaraderie" - can be accessed at https://hamdami.com - a name easy to remember and user-friendly for Iranian surfers. The launching ceremony marks the end of a long process that took most of a year. The project was initiated by Israel's current ambassador to Dublin, Dr. Zion Evroni, in his previous position as head of the Ministry's Political Planning Division. The website will be managed by the Arab Media Department of the MFA's Information and Media Division. Mr. Menashe Amir, formerly head of the Israel Broadcasting Authority's Persian language division, was appointed as chief editor of the new website. FM Livni welcomes visitors to MFA's Persian-language website "The Israeli Foreign Ministry today is opening a new channel of communication with the Iranian people. We have always made a clear distinction between the peace-loving Iranian people and the regime that, by its declarations and actions, is isolating Iran and turning it into a threat to world peace. The Jews are considered to be one of the most ancient groups among Iran's population. The relations between the Iranian people, coming from one of the most ancient cultures in the world, and the Jewish people, who gave the world monotheism and the Book of books, began 2700 years ago, when the Jews first settled the Persian plain. We remember Cyrus the Great, who not only freed the Jews from the Babylonian exile but allowed them to return to their homeland and provided them with material assistance for the rebuilding of the Holy Temple, which is the focus of Jewish spiritualism and the symbol of the restored Jewish state. Israeli-Iranian relations reached their peak, for the benefit of both peoples and the strengthening of regional peace, before the change of regime in Iran. In the 1960s and 1970s, Iran and Israel had friendly relations that extended to the realms of economics, science and politics, and included cooperation in medicine, agriculture, etc. Unfortunately, the regime's extremism, statements that include Holocaust denial, and the threats that it expresses publicly against Israel and the entire world have created a rift between us. Israel is making a genuine, sincere effort to promote peace with the Arab states and is constantly striving to solve the Israel-Palestinian conflict. Israel's values are based on the desire for good neighborliness between us and all the peoples in the region. The launching of a website by the Israeli Foreign Ministry in the Persian language indicates the importance Israel assigns to deepening the understanding between the two peoples, in anticipation of a future of peace and cooperation." Amira Oron [Head of Arab Media Department]: Madam Foreign Minister, Director General of the Ministry of Foreign Affairs, Deputy Director General of Information and Media, we are pleased to hold the ceremony launching the Foreign Ministry’s Persian language website. Your presence here attests to the great importance that we ascribe to public diplomacy and to the effort to build a bridge and to open a channel to the Iranians. The website will be going online today after a concerted effort over the past year by the Information and Media Division of the Ministry of Foreign Affairs and thus we continue the pioneering tradition of the Ministry, which was the first government body to set up information websites online in foreign languages: English, Arabic and now Persian. All of them contain a great deal of information on the State of Israel and Israeli society. After the Foreign Minister addresses us, I will request that Mr. Menashe Amir, the chief editor of the website and the person who served until recently as the director of the Voice of Israel in Persian, take us on a tour of the website. Afterwards we will be happy to answer questions from the press. Foreign Minister Tzipi Livni: First of all, thank you very much. From our standpoint, this is an opportunity to put our policies into practice. Now, in 2007, in light of the fact that the world really has turned into a global village, the tool that we must use more than ever is really the Internet. There is no doubt that there is an enormous gap between Israel's image around the world, primarily in the Arab world, and what we really are. Unfortunately, from Israel's standpoint, that leads to two extremely problematic processes in public opinion in the Arab nations. One is the fact that the extremist leadership takes advantage of such public opinion to unite opinion around ideas of the type expressed by Ahmadinejad - about wiping Israel off the map, denying the Holocaust and other intolerable texts - when there is no alternative information available to that public giving them the real facts.The second problem is one I have encountered personally, even with moderate leaders in the Arab world, who today understand that the threat to the region is not coming from Israel, that we share the same interests and maybe are even exposed to the same threats. Those leaders say to us: "We have a problem with public opinion in our countries. Our people are still living with the history in which Israel is the source of the problem, in which the Israeli-Palestinian conflict impacts public opinion and we have trouble facing that public and enacting policies that call for more cooperation with Israel when, in actuality, the general public thinks otherwise." In the past, we thought that progress and technology would provide the opportunity to foster a process of moderation among these communities. Today these tools are being utilized by extremist entities precisely to strengthen those extremist or religious sentiments, or extremism based on other ideology. If we are now seeing openness to the world, this openness is happening through the warped lens of television such as Al Jazeera or other television broadcasts that present the events in a distorted manner. This, of course, develops on the convenient basis of a system of distorted stereotypes. The Internet is now being used by organizations such as Al-Qaeda to reach that public, in order to incite them. We see Shi'ite organizations that use Internet websites to promote radical ideologies and even such practical matters as how to make a bomb. So we must make a concerted effort to get into this field, to get our message across, not at the level of propaganda, in the antiquated sense of the word, but simply to try to bring the actual reality to as large a public as possible, precisely in those countries where the possibilities for us to reach out and for the public to be exposed to us are limited. In this context, the Iranian arena and the Persian language website are critical. We must understand that today the world is applying economic sanctions, resolutions of the UN Security Council. We are trying to expand the sanctions through other entities, which are not just government related, but also economic entities. But there is also a public in Iran, not just leaders, and that public must understand that this is happening to them because of their leaders. They must understand the international view of the issues in context, that the sanctions are not intended to harm them, but rather to change policies that are unacceptable to the world, along with the intolerable desire to attain the bomb to implement those policies. This site was established in order to present the real face of the State of Israel, reliably and without propaganda, just as we have done in our Persian language broadcasts on the Voice of Israel, for which we have between 2 and 6 million listeners a day. That is a very respectable number. The home page of the Persian language website will be updated every day, sometimes two or three times a day. We will try to give the Iranian what he needs to hear about the State of Israel, what people think about Iran in Israel, and also to present positions, political declarations and research articles by Israeli professors, as well as everything that is done in Israel with an Iranian connection. Foreign Minister Livni has referred to the fact that Jews went to Iran 2,700 years ago, citing also Cyrus the Great and the close ties that existed between Israel and Iran before the advent of today’s extremist regime. That is what we are striving for - to return to that situation - and that is the basis of the project. We will also open a section on the website for questions and answers. We hope that we will receive many e-mails from Iranians with pertinent questions and we will try to respond to them, and post selected questions and answers on the site. With regard to the rest of the website, it covers many aspects of Israel. There is an explanation of Israeli democracy, the subject of the Holocaust is covered extensively, and not just the Holocaust itself. We have also set up a section in which we respond to 20 contentions of Holocaust deniers in Iran. There is also material on culture, literature, industry, economics, technology, and medicine in the State of Israel. The history of the people of Israel is presented and there is a special section on Jerusalem and the importance of maintaining its unity, and a small section on the Israel Foreign Ministry. The growth rate of Internet surfing in Iran is unprecedented. Only three years ago, the number of surfers was less than a million. A year ago, there were already three million, and today, the number is estimated at 11 million surfers (out of a population of about 70 million people). It is assumed that most of the surfers in Iran are young, knowledgeable about the Internet and frequently visit a variety of sites. Considering that 60% of Iran's citizens are under the age of 40, the new MFA website can be a valuable source of information about Israel to the Iranian population as well as an important means of connecting the two peoples. Visitors to the site can send in comments and questions. The webmasters will respond to questions of general interest and post selected responses on the website. refining sector and, when poverty is alleviated, moving Iraqi consumers from state-subsidized to market prices for fuel. Oil Minister Hussain al-Shahristani told United Press International Wednesday from his mobile phone in Baghdad that the government will provide incentives to both domestic and foreign private oil companies whose refinery plans the ministry approves. "This is a law that will privatize the refining sector in Iraq and allow the private sector, whether it's local or international investments, to be able to invest in refining activities in Iraq, including building refineries," Shahristani said. The refinery law is not the same as the highly contested oil law, stuck in Parliament, which would govern access to and development of Iraq's vast oil reserves. Despite its oil wealth, Iraq produces less than 2 million barrels per day -- compared with 2.6 million bpd before the war -- and exports more than three-quarters of it. That income covered more than 90 percent of the 2006 federal budget. Demand for products such as gasoline, cooking and heating fuel is being met by the maxed-out domestic refineries -- which also suffer from sabotage, fuel smuggling and electrical shortages -- and regular fuel imports. Earlier this month Iraq put out tenders for 1.3 million gallons of gasoline per day for the second half of this year, as well as tenders for kerosene, gas oil and other cooking and heating fuels. The security situation has caused import problems in the past. In order to produce more fuel from Iraq's own oil supply, Shahristani said the law allows the ministry to offer private refineries "long-term supply of required crude oil at discount price from the market price on the day of supply." The price will be 1 percent below the price at which the State Oil Marketing Organization is selling the oil. Shahristani said the deal gets sweeter because importers of Iraqi oil won't have to ship it to refineries outside the country, but make fuels in an established market. "When you produce your fuel product in country you will not need to import it from outside," Shahristani said, though he also said the companies will be "totally free" to export the fuel if they can make more money doing it. He said the law requires a certain percentage of Iraqi workers to be hired for a given project, leading to more jobs, more refining capacity and more fuel. A company must submit a proposal to the Oil Ministry, "either on their own or in partnership with one of the Ministry of Oil companies," Shahristani said. If approved, the ministry will also offer infrastructure support, sweet land deals and discounted utilities costs, he said, explaining such projects have "reasonable profit margins but not very large and investors have to be encouraged to come to areas like Iraq to start their work." Shahristani said it is not only the stark security situation that's preventing investment, but Iraq is "an evolving economy from totally centralized to free market, and the economic system has not really developed to a point" that investors are confident in the safety of their investments. The "new" Iraq as a free-market state isn't the goal of the entire country. It was a priority of the Bush administration, though. As head of the Coalition Provisional Authority, the first occupation administration of Iraq in 2003, Paul Bremer made it a guiding rule, shutting down 192 state-owned businesses where the World Bank estimated 500,000 people were working. The Washington Post reported in May that Deputy Undersecretary of Defense Paul Brinkley recently skirted the U.S. State Department's free-market-or-nothing mandate on Iraq's economy and began the process of reopening the factories. The oil sector, however, at least upstream, was a harder sell. The debate over the oil law pits those who want strong central government control over oil planning and development against proponents of regional/local control, which would likely lead to more reliance on private companies. There is no overall agreement as to the type of contracts those companies would sign, sparking worries it will be too friendly to foreign companies. Shahristani said Iraq's gradual move out of refining will let it put more into the upstream sector. The refining law doesn't include any government sell-off of its state operations "because the country needs fuel products." "Currently our policy is to keep our government-owned and operated refineries until we are sure the market can be supplied from the private sector," Shahristani said. "As the private sector takes over this activity, the government will be stepping down." Last week Iraq again increased its prices for gasoline as part of its obligations to the International Monetary Fund and Paris Club agreements on debt relief and new loans, which are nudging Iraq toward capitalism. Iraq has long subsidized fuel to its citizens. That, in part, is spurring smugglers to take advantage of the high demand, long fuel-station lines and cheap station prices. The government estimated late last year such a black market was routing $700 million a month. The Brookings Institution's Iraq Index estimates available fuel supplies are at about half the "stated goal." The Planning Ministry estimated earlier this month unemployment averaged between 60 percent and 70 percent, but the government says it will continue decreasing subsidies. Shahristani said the end decision to erase all fuel subsidies is part of the annual budget process but will likely not happen "until the standard of living of Iraqis is raised until they can afford the international prices." So You want to Nuke 'em? Who's finger is on the Button? Sit back and Enjoy the destructive Powers that could be unleashed on the world. The best estimates say that there are over 100,000 of the weapons around the world. After reading a lot of commentaries from many places including some far right blogs this video came to mind. The blasts from Hiroshima and Nagasaki were mere firecrackers in compassion to our new Nuclear, Hydrogen and depleted Uranium weapons. This video show includes only the items mentioned above. Perhaps at a later time you will get to see the destructive biochemical weapon photos in my archives. In late 1961 the Soviet Union detonated a blast that scared the scientists involved. They urged Prime Minister Krucheav to meet with President John Kennedy, and the world had it's first peace treaty. Now we know none of these weapons were found in Iraq, although we do know that nearby neighbors Pakistan, India and Israel do have them.Massive amounts of depleted uranium are being used since Iraq was attacked, ensuring the civilian population plenty of illness. Depleted uranium causes cancers, miscarriage, internal bleeding, deformed babies, contamination of drinking water and the list is very long.Put your mind to good use and spend an hour searching around the Internet finding information on these human killing devices. The next time you hear someone say "nuke 'em" you will have a response that "may" make the person pause. Here is a common example that comes to my mind. All those weeds and ugly dandelions need to be removed from my front and back lawns. The easiest solution is to pick up a case of dynamite and toss the explosive sticks at the weeds right? It sounds ludicrous and so it ought to, to any sane person. The point is that some people wanted Saddam out of the way. Was it over the top to have 4000 soldiers die with another 40,000 with severe injuries? Along with that there are nearly 1,000,000 Iraqi civilians murdered? I wonder how much time CNN or FOX would dedicate to pictures of burned to death Iraqi children and their families every hour on the hour? The media critic Norman Solomon and the Media Education Foundation have just released a documentary titled "War Made Easy: How Presidents and Pundits Keep Spinning Us to Death." The film is based on Solomon's book of the same name. The film features extended commentary by Solomon and is narrated by Sean Penn. War is such a reckless abandonment of life, that it is all to easy to forget, when three young soldiers are kidnapped and held hostage. Nobody appears to want to talk so the suffering of the civilian family goes on. A year has passed since the unprovoked abduction of Eldad Regev and Ehud Goldwasser on the Israeli side of the Lebanese border, an action that precipitated widespread confrontation between Israel and the Lebanon-based Hizbullah terrorist organization. To date no word has been heard from the two captive soldiers, and neither their families nor the government of Israel have any knowledge of their whereabouts or their current state of health. Especially grave is the fact that these unprovoked abductions were carried out on sovereign Israeli territory. Two weeks prior to their abduction, on June 25, another soldier, Gilad Shalit, was abducted as well, this time on the Israeli side of the border with Gaza. On the anniversary of his abduction (25 June 2007), Hamas released a recorded message of Gilad Shalit's voice - the first sign of life since he was abducted. Shalit's father Noam indicated that the voice - if not the wording of the message - was that of Gilad. Taken from their families a year ago, these captive soldiers are denied the most basic of human rights. In a gross breach of U.N. Security Council Resolution 1701, the terrorist organizations that carried out these abductions, and Syria and Iran who support them, behave as if these human rights are nothing more than a bargaining chip in their game of negotiation, refusing even to transmit messages to the captives from their families. International bodies who met with the captives' families have also tried to forward messages and letters, but they have been met with a negative response as well. The Israel Foreign Ministry is active in efforts to gain their release on all levels: Foreign Ministry Tzipi Livni and her fellow ministers, alongside Prime Minister Ehud Olmert, raise the issue at the highest levels in their diplomatic meetings, in Israel and abroad - as do the Foreign Ministry's director-general and other senior officials. The Foreign Ministry also assists the families of the kidnapped soldiers in their meetings, both abroad and with visiting dignitaries in Israel, in an effort to keep the cause of the abducted soldiers on the international public agenda. Israel's embassies abroad are also taking part in this effort, with emphasis on the humanitarian aspect: the families await a clear sign that their sons are alive and well. Those with influence, whether direct or indirect, on Syria and Iran are being asked to exert this influence on these countries. Thus, it is hoped, Syria and Iran, which sponsor the terrorist organizations holding the abducted soldiers, will be forced by growing international pressure to bring their influence to bear to obtain the hoped-for news and their eventual release. 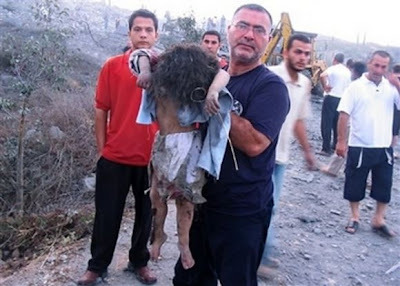 Neither Israel nor any other civilized, law abiding country can accept this situation. We urge you to support us in our endeavor - to bring our soldiers home. Gilad Shalit (21) was born on August 28, 1986. He is the son of Aviva and Noam Shalit and the brother of Yoel (24) and Hadas (17). Ehud (Udi) Goldwasser (31) was born in Nahariya on July 18, 1975. He is the son of Miki and Shlomo and elder brother of Yair (27) and Gadi (24). He married Karnit 10 months before his abduction. Eldad Regev (27) was born and raised in Kiryat Motzkin. One of the qualities that makes Eldad so special is the kindness of his heart – never hesitating to donate and offer aid to anyone in need. Eldad made many friends throughout high school and during his army service, all of whom can attest to his fine qualities. There must be somebody, a person of understanding, who could re-unite these three with their families. The outcome in doing so, would assuredly raise the good will, of ones neighbours. You are about to get a double tonight since there was little time to post a note yesterday. Do you miss me as much as I do! The way we translate words may appear at first very easy. After studying so many years of Latin, it is easily visible to others who have had a similar experience. In this I ask is it about God? It is not about God because nobody has seen God. It is not about the Great Prophets because nobody has seen any of them, and there are many. I only know of one Prophets, who lived circa 1800 BCE and is known as the Enlightened One. Nobody knows anything of his looks. After all, it is not about ones looks that count, only the words they left behind, for us to attempt to understand. Pictures and stone icons are only there for those who do not believe and require something tangible to touch or hold onto. There is nothing earth-shattering about a picture, simply because it is only a rendition, as there is no physical realm within each of the Prophets lives. They live in a highly spiritual world and mankind may only attempt to create a picture or piece of artwork. There is no possible way for any of us to make a claim to the spiritual realm because we are here only to find a way to achieve such a way of life. A drawing depicting any of the Prophets only shows how ignorant and arrogant the artist is, when it comes to the spiritual realm. Matters that concern the freedom of the press are in no way woven into this media myth, unless of course one of them has seen the Prophet, or perhaps had a conversation with God. Anybody we know making such a claim these past few years? Inch'Allah! and even with God Willing, it is a person of low character and no morals, that says they have a direct phone connection to the Universe. Here I am speaking on this subject again, and watching Equilibrium at the same time. It is a great movie and well worth watching and it does get into the God syndrome, as we see it today. We can learn a lot from the Prophets, Inch'Allah!, and we can learn a lot from Adamo too with his song. Now it is time to see if there is any chow around this place and finish watching the rest of Equilibrium. The lyrics are written by Salvatore Adamo who simply goes by Adamo. In the Video he presents his song so turn up the sound and listen to the romance and sincerity. A senior French politician, now a minister in President Nicolas Sarkozy's government, suggested last year that U.S. President George W. Bush might have been behind the September 11, 2001 attacks, according to a website. The www.ReOpen911.info website, which promotes September 11 conspiracy theories, has posted a video clip of French Housing Minister Christine Boutin appearing to question that Osama bin Laden's al Qaeda group orchestrated the attacks. Boutin's office sought to play down the remarks. Asked in an interview last November, before she became minister, whether she thought Bush might be behind the attacks, Boutin says: "I think it is possible. I think it is possible." Boutin backs her assertion by pointing to the large number of people who visit websites that challenge the official line over the September 11 strikes against U.S. cities. "I know that the websites that speak of this problem are websites that have the highest number of visits ... And I tell myself that this expression of the masses and of the people cannot be without any truth." Boutin's office sought to play down the remarks, saying that later in the same interview she says: "I'm not telling you that I adhere to that position." This comment does not appear on the video clip on ReOpen911. Numerous other websites have also posted the clip in recent days and the story has started to seep into the mainstream media. "Christine Boutin snared by her controversial suggestions about September 11," Le Monde newspaper said in a headline. Liberation newspaper on Saturday quoted Boutin's spokesman Christian Dupont as saying that she had not wanted to appear pro or anti-Bush at a time when Sarkozy was being branded a "U.S. poodle" after meeting the president in Washington. "And then she is not the foreign minister," Dupont added. France appears to be particularly fertile ground for conspiracy theories. In 2002, a book that claimed that no airliner hit the U.S. Pentagon in the September 11 attacks topped the French bestseller lists. And now for a music break from Jackson Brown with his song Lives In the Balance. With his incredible lyrics and voice his message is easy to see. The public record now plainly demonstrates that both the DOJ and the government as a whole have been thoroughly politicized in a manner that is inappropriate, unethical and indeed unlawful. The unconscionable commutation of I. Lewis "Scooter" Libby's sentence, the misuse of warrant less investigative powers under the Patriot Act and the deplorable treatment of U.S. attorneys all point to an unmistakable pattern of abuse. In the course of its tenure since the Sept. 11 attacks, the Bush administration has turned the entire government (and the DOJ in particular) into a veritable Augean stable on issues such as civil rights, civil liberties, international law and basic human rights, as well as criminal prosecution and federal employment and contracting practices. It has systematically undermined the rule of law in the name of fighting terrorism, and it has sought to insulate its actions from legislative or judicial scrutiny and accountability by invoking national security at every turn, engaging in persistent fear mongering, routinely impugning the integrity and/or patriotism of its critics, and protecting its own lawbreakers. This is neither normal government conduct nor "politics as usual," but a national disgrace of a magnitude unseen since the days of Watergate - which, in fact, I believe it eclipses. In more than a quarter of a century at the DOJ, I have never before seen such consistent and marked disrespect on the part of the highest ranking government policymakers for both law and ethics. It is especially unheard of for U.S. attorneys to be targeted and removed on the basis of pressure and complaints from political figures dissatisfied with their handling of politically sensitive investigations and their unwillingness to "play ball." Enough information has already been disclosed to support the conclusion that this is exactly what happened here, at least in the case of former U.S. Attorney David C. Iglesias of New Mexico (and quite possibly in several others as well). Law enforcement is not supposed to be a political team sport, and prosecutable independence and integrity are not "performance problems." In his long-awaited but uninformative testimony concerning the extraordinary firings of U.S. attorneys, Attorney General Alberto R. Gonzales did not allay these concerns. Indeed, he faced a no-win situation. If he testified falsely regarding his alleged lack of recollection and lack of involvement, he perjured himself and lied to both Congress and the American people. On the other hand, if he told the truth, he clearly has been derelict in the performance of his duties and is not up to the job. Either way, his fitness to serve is now in doubt. Tellingly, in his congressional testimony, D. Kyle Sampson (the junior aide to whom the attorney general delegated vast authority) expressed the view that the distinction between "performance" considerations and "political" considerations was "largely artificial." This attitude, however, is precisely the problem. The administration that Sampson served has elided the distinction between government performance and politics to an unparalleled extent (just as it has blurred the boundaries between the White House counsel's office and the attorney generals office). And it is no answer to say that U.S. attorneys are political appointees who serve at the pleasure of the president. The point that is lost on those who make this argument is that U.S. attorneys must not serve partisan purposes or advance a partisan agenda - which has nothing to do with requiring them to promote an administration's legitimate policy priorities. As usual, the administration has attempted to minimize the significance of its malfeasance and misfeasance, reciting its now-customary "mistakes were made" mantra, accepting purely abstract responsibility without consequences for its actions, and making hollow vows to do better. However, the DOJ Inspector Generals Patriot Act report (which would not even have existed if the administration had not been forced to grudgingly accept a very modest legislative reporting requirement, instead of being allowed to operate in its preferred secrecy), the White House-DOJ e-mails, and now the Libby commutation merely highlight yet again the lawlessness, incompetence and dishonesty of the present executive branch leadership. They also underscore Congress' lack of wisdom in blindly trusting the administration, largely rubber-stamping its legislative proposals, and essentially abandoning the congressional oversight function for most of the last six years. These are, after all, the same leaders who brought us the WMD fiasco, the unnecessary and disastrous Iraq war, Guantanamo, AbuGhraib, warrantless domestic NSA surveillance, the Valerie Wilson leak, the arrest of Brandon Mayfield, and the Katrina response failure. The last thing they deserve is trust. The sweeping, judicially unchecked powers granted under the Patriot Act should neither have been created in the first place nor permanently renewed thereafter, and the Act - which also contributed to the ongoing contretemps regarding the replacement of U.S. attorneys, by changing the appointment process to invite political abuse - should be substantially modified, if not scrapped outright. And real, rather than symbolic, responsibility should be assigned for the manifold abuses. The public trust has been flagrantly violated, and meaningful accountability is long overdue. Officials who have brought into disrepute both the Department of Justice and the administration of justice as a whole should finally have to answer for it - and the misdeeds at issue involve not merely garden-variety misconduct, but multiple "high crimes and misdemeanors," including war crimes and crimes against humanity. I realize that this constitutionally protected statement subjects me to a substantial risk of unlawful reprisal from extremely ruthless people who have repeatedly taken such action in the past. But I am confident that I am speaking on behalf of countless thousands of honorable public servants, at Justice and elsewhere, who take their responsibilities seriously and share these views. And some things must be said, whatever the risk. The views presented in this essay are not representative of the Department of Justice or its employees but are instead the personal views of its author. I have been having a lot of fun in a special forum assisting in the translation of the books and journals of Gaius Julius Caesar, from Latin to English. Here is one short passage that he wrote shortly before his assassination by his enemies and people he thought were friends. (They would pay the price later). Looking around at our world 2000+ years later, the words ring home the same today. He says; "Beware the leader who bangs the drums of war in order to whip the citizenry into a patriotic fervor, for patriotism is indeed a double-edged sword. It both emboldens the blood, just as it narrows the mind. And when the drums of war have reached a fever pitch and the blood boils with hate and the mind has closed, the leader will have no need in seizing the rights of the citizenry. Rather, the citizenry, infused with fear and blinded by patriotism, will offer up all of their rights unto the leader and gladly so. How do I know? For this is what I have done. And I am Caesar." His writings are inspirational and in them you will find the truth which led up to his assassination and the assassination of other leaders. And a "Warning" from another world class leader about secrecy, loss of freedoms and the "Free" mainstream Press. Listen carefully as President J. F. Kennedy speaks about how a future President, could strip everyone of their freedoms by using the media, to create an atmosphere of terror and hate. You have heard of the Patriot Act? The video with his voice should play at the end of these notes. This one Act is used in various forms in many countries including my own country Canada. A number of years ago an Ottawa Newspaper Reporter had her home broken into by the R.C.M.P and our cloak and dagger Secret Service. I wrote a blistering article to our then Prime Minister Paul Martin about the violation of her rights under our Charter of Rights and Freedoms. I was called into my local Member of Parliament's office, who happened to be the Deputy Prime Minister of Canada, and scolded for writing the article. An order did come from that office to shut me down and shut me up, in other words, take away my freedom that millions of Canadians fought for during World War II. Only now we are beginning to find out who the real criminals are, the ones sitting in the highest offices of the United States, Canada and Britain just to name a few. The home of the reporter was completely trashed by our machine gun carrying "police", face masks and all. Her home was stripped of all her belongings and the Ottawa Newspaper was told to fire her. They refused and took all of the "Police" and the "Judge" who signed the warrant to Court. We have no idea how many others were treated in the same fashion. For me, it is that we must stand up and make our voices and votes heard, and toss these criminals out on the street. I look forward to seeing these "leaders" charged for their collective Crimes Against Humanity with the death toll now near One Million Iraqi fathers, brothers, mothers and children murdered for oil. I can give you and example of how the "Lamestream media", CNN, CBC, FOX etc twist the news. The most hateful man on the planet Jerry Falwell died, may he rest in Hell. What was playing over and over again on the main news channels? Purchased by the billion dollar babies who control what we watch, unless we put on a good movie and turn it off, is the glorification of a mean spirited man full of hate, and a terrorist to hundreds of millions! They call him a hero, a man who put electric fences around his home and guards with shoot to kill orders. Newspaper, print media and television media have bought into "you are with us or against us", which does not leave any room for Freedom of Expression, and makes everyone one of us Slaves. The entire world knows how he, did not get elected, and threw the citizens votes in the garbage. To the courageous few that dare to question I give all my love and praise. Blair is finished and that is one down and many to go (we still need to collect up all the people responsible in Britain for Crimes Against Humanity)! In Canada the Criminals are now coming before the courts, and yes, they did go far beyond our rights under The Charter of Rights and Freedoms. The Canadian spy agencies knew that Amar would be stopped in New York (the LIST) and sent to Syria, where he was tortured. To my friends in the United States, how are you doing, without your Rights under your Constitution, now replaced by the Patriot Act? Now listen to the words of wisdom, on the dangerous path of secrecy in government(s) and the role of the media. The 2-1 ruling by the 6th U.S. Circuit Court of Appeals panel vacated a 2006 order by a federal judge in Detroit, who found that the post-Sept. 11 warrant-less surveillance aimed at uncovering terrorist activity violated constitutional rights to privacy and free speech and the separation of powers. Chaplin plays Adenoid Hynkel, Dictator of Tomania who rules under the sign of the double-cross. He's a buffoon of a leader, self-absorbed, loud, overbearing, and hateful, but he's loyally lauded by his countrymen. Hynkel's impassioned speeches are improvised guttural Germanesque gibberish that mimic Hitler's rousing real-life podium calls to his people. It's a kick-in-the-pants, direct pre-nuclear-hit at a hapless, hateful Hitler. Chaplin's technique is pure Leni Riefenstahl, mocking her hero worship of Hitler. Bush Jr. is not nearly clever enough to sort through or keep up with Cheney's Machiavellian machinations. The president is so lazy and incurious, he's more than willing to let Cheney do his dirty work. Whether it is approving torture, illegal wiretapping, concentration camps and kidnappings, or coddling corporate polluters, Cheney is ready to nod OK. The Lancet (the most prestigious British medical journal) concluded that, as of a year ago, 600,000 Iraqis had died violently due to the war in Iraq. That is, the Iraqi death rate for the first 39 months of the war was just about 15,000 per month.The U.S. and British governments quickly dismissed these results as "methodologically flawed," even though the researchers used standard procedures for measuring mortality in war and disaster zones. "Strange times are these in which we live when old and young are taught in falsehoods school. And the one man that dares to tell the truth is called at once a lunatic and fool" ...Plato. We squabble and dabble into each other’s sexual identity, all the while the various levels of government dig deeper into our pockets. This is called a “Red Herring”, when the government puts up a grand show on one topic, while never mentioning the dastardly deeds they are actually planning, or have already enacted. Yes there was an Oh Canada we were very proud of slightly over 60 years ago. Our families went to fight a real war only because England was stupid enough to take on the Nazi Regime. At the time Hitler was being backed by large corporations from the United States, so we have proven that some things never change. Our young family members, just coming out of the worst economic depression, caused by the greed of the very rich, put on the uniforms and headed off to fight in Europe. The “stand on guard for thee” part came after World War II was over and our economy ran out of control. We now had something to protect with large families, single family homes, cars, guns and more cars. We continued to show most of the world that we were (past tense) an educated country that lived in harmony and peace. Taxation was so low, that people could afford all the pleasures of the world, and still have a family made up of brothers, sisters, mother and father. Most of our Canada at that time worked for a relatively good wage with very few deductions. You could actually see your tax dollars being used with new ports of entry, roads being built across the country, good police and new businesses starting every day. Canada "was" a country that cared about its own people and did things to help other nations in their growth. Everyone in the world knew about it as one would soon find out by travelling anywhere. All was well in never never-land until one day one of our great political leaders told a great lie. Trudeau told us “he would not freeze our wages and prices” in order to win an election and the Canadian voters fell for the lie. It occurred to me while pondering the election, that this was similar to me asking the priests and nuns, why God needed billions of dollars. They were not amused and promptly had me moved from the private school to a public one. I began to ask a lot of questions of our political leaders at all levels as to what they were doing with all the money they were taking from my wages. None could even come close to an answer so I started to do some snooping on my own. Would the billions Canada was spending on teaching French; eventually cause a large case of discrimination, against those who did not speak it? Most Canadians are excluded from working for the Federal loonies, some Provincial governments, or even get a contract should they not speak this foreign language? Those who do get the contracts are allowed to put as much as they desire in the pockets and never fear conviction or prison time. Those in the United States that believe you are the only ones dealing with corruption, only need to look north. Our governments and unelected bureaucrats can spend any amount and are never held accountable. Even after they retire we keep on paying them billions of dollars along with the appointments to unaccountable boards and commissions that never get anything done. In Canada we do not elect the Senate, and the hundreds of thousands we pay each of them can be sent to their homes in Bermuda. When the words “a just society” rang out all over the country a true revelation came to me and I moved to Alberta, as Lougheed became the big time boss. The billions of taxpayer dollars were being thrown into the wind instead of back to the working people. Peter took good care of himself and his self-serving friends and to hell with those that voted him into office. Getty has a four lane highway into his rural estate, along with a taxpayers lake in his back yard. It is certainly true that good old Klein is taking his share, along with his buddies who gave themselves a pension plan that no individual could afford. At the Federal level it is a mess and all the parties are simply assigned to corruption. Imagine paying a political party, that has a sole purpose to breaking up Canada! (this is called being "distinctive") We have lost the Canada that most grew up in where we believed in our country and doing good work brought good pay. We were brought up to believe that volunteer efforts were for the good of someone other than ourselves. There was no reason that any Canadian should freeze to death, as happened in Edmonton and Calgary, during a period of our famous winter weather. Imagine, Canada a country with so much money that a fellow person is left to freeze to death in the cold! The news media do not want those stories on page one so they clutter it up with what gays and lesbians are demanding. Imagine, having to demand of our governments that everyone be treated with equality. So sad. Our shame is that we let our different levels of government be governed by un-elected persons from coast to coast. Our shame is that these same people have forgotten that they are servants of the people, and are supposed to do whatever it takes to help Canadians. The shame is that they cannot be accounted for in their everyday life at work and cannot or will not change. The world war that was fought for supposed freedom has been lost, and Hitler won hands down, laughing at us. There is another great lie put up on the news programs almost everyday. We are told that there are too many jobs and not enough people in Canada to work them. Let us, the unemployed and under-employed ask our politicians at all levels which of them will work for $8.00 an hour? You will take home $7.10 of that after taxes and dream for a better day. You may even attempt to collect Employment Insurance and be told you do not have enough hours to qualify, when indeed you do. You will be told here in a province that earns almost 2 Billion a month that you may qualify for $390.00 per month to pay your rent, bills and feed yourself. You will lose everything you worked so many years to have a good life. I just finished working at the Spectrum Casino at Northland's here in Edmonton recently. I was promised $13.00 and hour plus tips and when my pay cheque arrived I was only paid $11.00 and hour. "We made a mistake when we hired you" was the answer to my questions. There are no provincial laws that will support the abuse and scandalous behaviour of employers in Alberta. Anyone who reads this please send it to everyone and let them know that there is NO reason to move to Alberta for a job. When looking online or in an Alberta newspaper 99% of the job ads will say "to be negotiated", which means they pay either only a commission or under $11.00 dollars an hour, and none pay any benefits, without a million conditions. Once you are over 50 years old, forget it, nobody wants to hire you. There was once a great and proud nation called Canada, it is both a lie and a myth. That Canada has long since disappeared and now we have a nation of corruption, politicians who have no vocabulary other than that of a liar or criminal. We are no longer a country that does anything for the people, except for the chosen few who can become a Professors at a University after they have lost a re-election. The news media is now owned by a few corporations and their business is no longer telling the truth. It is made of fluff and pictures, full of wars and starvation, that never tell the lies of how we got there in the first place.. They are simply following the party line of corruption and greed. Now that we will have a national "id card", would it have been any different had Hitler won the war? Yes, the Doors of Perception was required reading to open our minds to the realities and be able to determine the lies. We were the new reality that knew that the establishment had very bad intentions for all of the people on our planet.Weekly or more often we went tripping to discover realities as they really are and be able to see through what colours they were showing. High Priests and Wizards we were ready to guard the future from all those who would strip us of our Freedom. The champions ready to listen to anyone and show people the way to an open mind, while flying into new universes of the wildest kind.. John Lennon talked to us about religion, politics, love, and war. He imagined a place where all the people of the world could live in harmony and peace.Remember how we dreamed of a world where there would be no poverty and disease. We would also be cautious of the lies that came to us from the media. We knew that behind their facade were lies, which could turn to a reality, instead of the myths from the tongues of clever deceivers.Can you guess what happened during all those years while you were sleeping? First, it makes us so happy to know that you are waking up from that long sleep since we spent so much time together. Was it years or did we just see each other a few days ago? . While you slept, hundreds of millions of people, have been and are being starved to death all around our planet. New and horrific diseases have taken the lives of many more hundreds of millions since we last sat and talked. New and even more insane wars are now promoted, as a healthy way to live as well, with new dictatorships that have taken place while you were sleeping. It is now honourable to attack and destroy another country simply because one does not feel good about the leader of it. Do you happen to recall all those conversations about the prison that was created by the Berlin Wall? The new leaders of our countries are now doing the same thing by using a word (terror) to create the illusion of danger. Imagine that in a country that has stockpiles of Nuclear Weapons are willing to use on other neighbours, or anybody that disagrees with them. They have gone as far as to create a software program so that their ruthless people can spy on you and imprison you without a chance to have a lawyer. Now that I have used the word (terror), it will most certainly be screwed up in their minds to justify an attack, simply because it is a hateful thing to disagree with WAR! . You do understand, as much as you try to destroy me, another takes my place. Since my entire family fought for your freedoms, it baffles me as to why you want to take away mine. What a sorry state we have put ourselves into when people are afraid, or have been terrorized into believing, they must not use their beautiful minds to find peaceful solutions. War is quite simply, ridiculous, in a world that is better educated and connected than any other time since we crawled out of the caves. Yes all my sleepy friends, people are now encouraged to strip away all the rights of other individuals or groups, and take us back to the caves, since reason has slipped away into space dust. There are untold numbers of people held prisoners in the United States now for speaking freely. In addition, slave labour has switched a little, from being black to being the working class poor. The United States of America the falling Empire, has become so full of hate, the world will wait a little longer for Peace. Now that you are awake, you may want to know that the new “Minority” Prime Minister in Canada Stephen Harper I believe he means well, I just do not believe he understands how he is destroying the great reputation Canada holds world-wide as a “Peaceful Nation”. Since Paul Martin and Anne McLellan already started the process of destroying our Charter of Rights and Freedoms, Stephen is simply following their unlawful order to search and seize without cause. I can vouch for it since I spoke out against Paul Martin who followed his fellow dictator nearby, everything,, is being taken away from me.. (Paul and Anne, you are rightfully bad peole and it makes me happy you lost the election). After being called into the Deputy Prime Minster's office (Anne) over an article I wrote called Dear Paul Martin all hell broke loose for me. A quick estimate is that approximately 500 bureaucratics were told to attack and destroy my business and my life, right down to taking away my home. In my heart I gave Stephen Harper a chance to show he may be a good leader by writing him several times, without one response. The new local MP is never available, to give a Canadian Citizen any time, unless it is a donation of money. (my family arrived in Canada in 1536, he was a friend and lieutenant to Jacques Cartier). These bureaucratics, who could not speak either of our two National Languages, wanted to make me prove I am a Canadian! That is policy put in place to tattoo us as was done in Auschwitz, put in place by the other dictator who ordered Paul Martin and company to do the same thing..
We now have dictators in three (3) countries once world famous for their Constitution, The Charter of Rights and Freedoms and the Bill of Rights and Freedoms. I realize you are still a bit sleepy, so take a few days and check out how the lies keep rolling daily, in fact by the hour from the all-mainstream media. It is pure hateful propaganda brought to us with the twisted tongue of their evil minds. Here is a great lie from Harper’s buddy Stockwell Day as he said in an interview, “Anybody who has seen my record knows I am a firm believer in and champion of individual rights, human rights and respect for those rights. And within that context you can still have safety and security within our country,” Really, when did this take place? I live in Alberta and remember every time Stockwell tormented and stomped all over us, when he was a top official in the government in this Province. Greed in the richer nations still starves those who have no food, fresh water, and medicine with a person dying every few seconds. Media broadcasters put it to us another way but using distraction, by telling us we should be alarmed that one of the Banks has only earned 3 Billion during the last 3 months. We say “wow” as we continue to pay them nearly 30% on our credit cards and the government can ducks for cover, because the Banks never pay taxes. You are starting to see the picture? You got it right, the taxpayer who earns less than 30 thousand is audited, not the Banks or the pickpockets in our governments. Then perhaps you might ask why our leaders have so much money for War, and no time for Peace. Do you believe love is worth the peace it will bring? Labels:reviews,film,books,music,politics,new Canada, criminal, England, freedom, hate, polictics, U.S.A. This is an update on my message sent to many Indie musicians about a new podcast that I am working on. It will feature approved music from Indie musicians and news from non-mainstream media. My love of music that does not find its way to radio or elsewhere is one of my life's joys. In working to do so it has taken a lot of effort to manage, promote and produce a lot of great music. Politics and the way it shapes our world will also be included in my podcast. Over the past five years it is nearly impossible to find any counter points of view on any mainstream media. Politics that I have been involved with since my teens, was about making our world a better place and allowing individual freedoms to grow. You only need to spend a few minutes flipping around the mainstream media, to realize that it appears there is not a shred of kindness remaining in the world. Does anyone know what happened to the challenge put to every person, by President Kennedy when he asked us to become "Citizens of the World"? Now, to a question asked, as to what is in it for me. A good sense of fun doing what I enjoy, and this next part may sound odd to some. having our business smashed and being put on a list by people that want us to live in fear. We were born into this world in a universal image whether it be a butterfly or a wondrous sunrise. We remember whether it be friend or foe, that we will use our gift of life to speak openly and honestly to either. Those of us who live in countries that elect our governments, must rise up and tell them we will no longer be slaves. Indeed, we must let them know they are our servants, and it is us who will put them on our list. As individuals, we still have the power to vote, and we must give the power to those who will no longer tempt us with their huge bank accounts, anywhere in our democracies. Now for those of you who are willing to be a part of the podcast. Doing a podcast has many different ways to actually reach an audience that will listen on a regular basis. It was the following message I got back on a forum dealing with starting a podcast that got me working on doing it the right way from the start. "You can cough into the microphone once a week and post it to the internet if you want. Just know that I won't listen to it"
We are chatting on a regular basis and the plan is now in place with a lot of great advice. The message is in the Indie music and counter points of view that will assist in giving us the answers. The art of listening while someone speaks will be our message.